Affordable prices, sound infrastructure, connectivity, and a promising future have made Bhiwadi an emerging hub for the real estate market. With impressive infrastructure, plenty of job opportunities, a wide array of recreational and education facilities, and overall quality standard of living, Bhiwadi is emerging as one of the most appealing housing destinations in NCR. 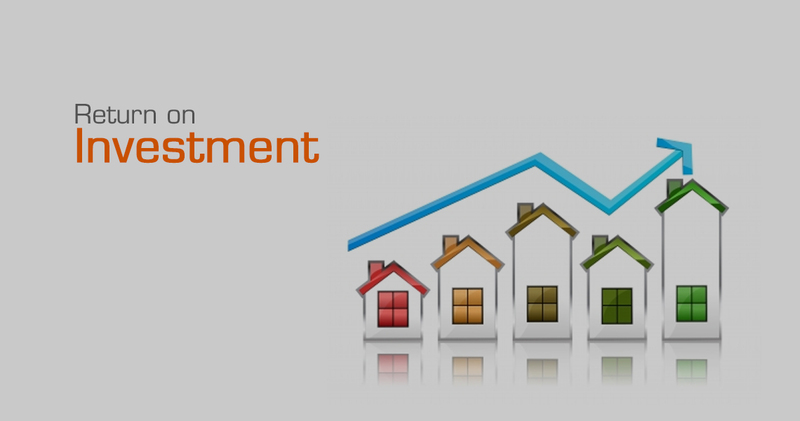 It has been proved with the past track record that investment in real estate in Bhiwadi makes great business sense. The prices have raised many folds and are expected to follow the trend in future as well, with more and more MNCs coming to the city. The town is spread over nearly 5,300 acres, and houses around 2,700 big, medium and small-scale industries. They include industries like steel, furnace, electronics, engineering, textiles, pharmaceuticals, printing, cables, rolling mills, food processing, herbal care units etc. 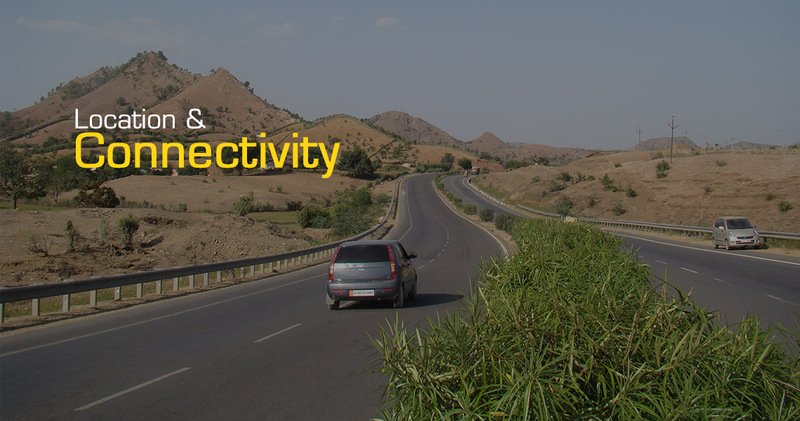 It is strategically situated on NH-8 and offers direct connectivity to Delhi, Gurgaon and Jaipur. Bhiwadi is situated at 40Km from Gurgaon, 55 Km from Indira Gandhi International Airport, 200 km from Jaipur and 60 km from Faridabad. The area has all basic amenities like piped water, regular electricity, famous schools like GD Goenka Public School, St. Xavier’s School and Modern Public School ; famous hospitals like Max Healthcare and Balaji Multispeciality Hospital, banks (Both public and private banks), shopping complexes and malls, transportation with good connectivity etc.. Many prominent malls like - V Square mall, Genesis mall, Aangan plaza, Central market, Capital Mall etc. are present at an approachable distance too. Bhiwadi has an advantage of being close to the Delhi and adjoining areas; hence it is expected to be the next big real estate destination after Gurgaon. Moreover, it falls along the Delhi-Mumbai Industrial Corridor(DMIC), which makes it a promising destination for property investment. Real estate projects in Bhiwadi are considerably cheaper when compared to Gurgaon or Delhi. The area not only offers affordable housing with a quality lifestyle but also assures good return on investment. 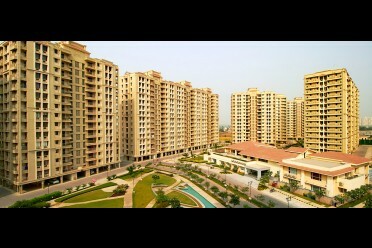 The average ticket size of an apartment in Bhiwadi ranges between Rs 2400 and Rs 3500 approx per sq. ft. Better return on investment in upcoming NCR micromarkets like Bhiwadi means more cheer for those looking for their dream home in the NCR region. In the past, the prices of properties have increased in Bhiwadi by 31% (Source: Prop Equity) making the projects attractive for end users and investors alike. Investors have also received good rental returns in the past especially due to the presence of big industries and many more industries are coming up in the area. Bhiwadi is now playing a pivotal role in contributing to Rajasthan's economic development. 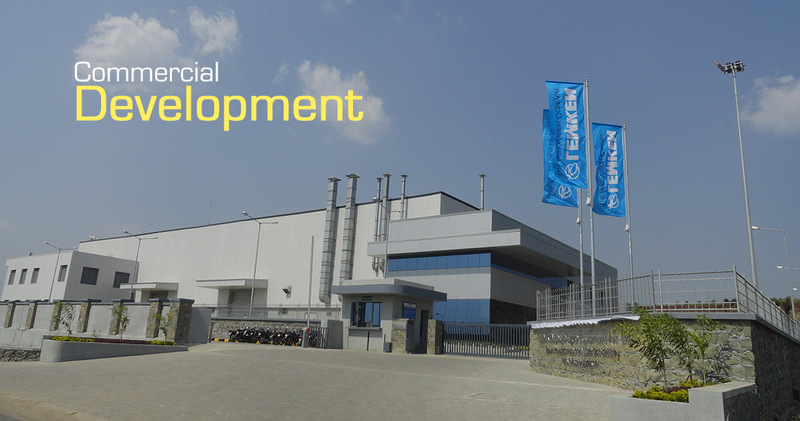 Indian industrial giants and MNCs like Mahindra, Pepsi, Bausch & Lomb, Gillette, Honda Ceil, etc, have set up base in this fast developing town while new international players in automobile and ancillaries, steel, and electronics sectors are also keen to stamp their presence in Bhiwadi. A lot of other firms are expected to follow suit and make Bhiwadi their primary manufacturing hub. Bhiwadi is a successful industrial town, with the presence of over 300 big companies. Because of its strategical location it will be called as a cluster of employment hubs. Electronic Industries Association of India has taken early initiatives for establishing ELCINA Electronics Manufacturing Cluster (EMC) in Bhiwadi, Rajasthan. Around 19 are to set up facilities in the Cluster with an investment of Rs 600 crores. The government’s agenda behind this cluster would be to boost domestic electronics industry and also have less reliance on imported electronic goods. This can be great news for people looking for investing in real estate. Bhiwadi is set to become the second largest industrial hub of Asia and with the setting up of so many industries in the region; it will also bring a big influx of people to work in these industries. Thus, investing in Bhiwadi right now can reap great benefits for the investors. 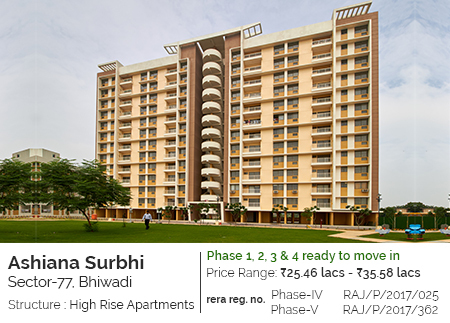 Bhiwadi, with its several projects brings to you Ashiana Surbhi, a pocket-friendly project allowing you to invest low and get good returns. Hospitals, schools, shopping complexes or malls all being in the range of 10kms. It is a well-designed project with gated communities encompassing open spaces, green lawns, and a habitat that turns neighbors into friends. I WANT TO BUY FLAT IN DELHI OR NOIDA. I AM 71 AND WIFE IS 65. ADVISE RELATED DETAILS. We do have properties available in South of Gurgaon, Bhiwadi, Jaipur, Jodhpur, Jamshedpur, Halol, Lavasa, Chennai.